Visit Crown Smart Home Showroom to experience the latest in air conditioning, audio visual, electrical and security. Offering the leading solution in home automation with Control4, Crown is an authorised gold dealer and 1 of 4 Control4 Expereince Centres in NSW. Crown is the authorised Bose dealer for Macarthur, Wollondilly and the Southern Highlands. Experience the full range of Bose personal and home audio at the Crown Smart Home Showroom. We provide innovative and dependable solutions across the electrical, air conditioning, security and audio visual fields. We implement integration systems as the glue to tie these fields together seamlessly. We provide installation and service packages for a single home to large commercial facilities. We remove the complexity of our industry by providing a clear and concise project management system that ensures confidence from our clients and our staff. We continually strive to improve the client experience by improving our systems. We do what we say we will do while delivering on time, on budget and to our client's specification. We take pride in our work and enjoy what we do. 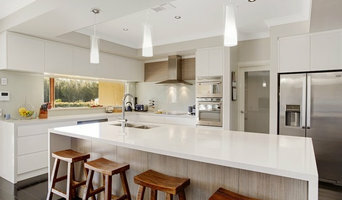 Electrical Contractor, specialising in all your electrical and Home Automation needs for your home. We Provide a Friendly Honest Electrical Service Across Sydney. Clipsal by Schneider Electric brings your home to life with a comprehensive range of solutions to meet your electrical needs. A market leader in residential and industrial energy efficient solutions, Clipsal by Schneider Electric has hundreds of electrical solutions designed to enhance your lifestyle and complement your home. From safety and security to convenience and style, you can be sure to find a solution that is perfect for you. If you are building or renovating your home, our range of innovative, efficient and design savvy home electrical products will help you meet all your electrical needs. View here for more information on where to buy any of our products <a rel="nofollow" target="_blank" href="https://www.clipsal.com/Home-Owner#where-to-buy">https://www.clipsal.com/Home-Owner#where-to-buy</a> Our commitment is to provide you with high-quality, intelligent, environmentally friendly and economical electrical solutions, now and in the future. Our team of dedicated consultants is available to help you find and install the right product/s that best suit your need. You can contact us on 1300 369 233. Safe N Sound Electrical is a company that specialises in audio/visual installation, lighting upgrades and design and commercial electrical work. We also install fibre optic cabling, data cabling and complete phone systems. The team at Safe N Sound Electrical are fully licensed and insured. Since establishment in 1997, Charlie’s Electrical Services (CES) has completed many projects ranging from general installations and maintenance through to state-of-the-art automation. 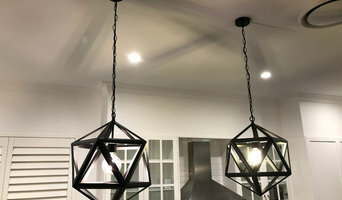 Under the direction of Managing Director and founder Charlie Cauchi, we have gained a reputation of being a quality electrical contracting company and pride ourselves on referrals and repeat clientele. CES’ approach is built on partnership and trust and in this regard we have delivered projects on time and on budget. To ensure customer satisfaction, CES demands high standards through superior workmanship, innovative advice, outstanding customer service and market-competitive pricing. 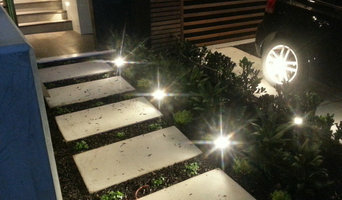 Residential and Commercial Electrician specializing in New Homes, Renovations and Landscape Lighting. At NVE SERVICES, your satisfaction is our main priority. Since our business started, quality has been our focus. By working with the best materials in the industry and employing the most experienced and meticulous contractors, we are able to deliver solid and long lasting solutions for everyone. Danjac Electrical Group specializes in residential and commercial electrical works across the greater Sydney area, Central and North Coast. GreenElec was created to empower homeowners and businesses with the latest technology, and to help the consumer become independent from energy utilities while at the same time enjoy the comforts the modern world has to offer. GreenElec is a well established business with a core value system built around three words; Simple, Smart, Sustainable. These three words are our reference point in everything we do from front line implementation to back end planning and operations. We use mobile applications and technologies to manage and support our clients and our staff on a day to day basis and the reputation of our work is based around simplicity and quality which is measured on every job we do. Our systems and processes are focussed on our core values and have delivered great results for the past 8 years. GreenElec is, as it suggests, an Electrical and Communications Contracting company with a major focus on Solar Power and Automation. Our team, being our biggest asset, consists of young and forward thinking professionals who have a great passion for gaining the best result for every client. GreenElec supplies Sydney with Electrical, Communications, Solar Power, Battery Storage and Automation services in the commercial and domestic sectors. Lightspeed Electrical provides quality electrical services to all areas of Sydney, specialising in electrical commercial office and shop fit outs and new multi-complex residential estates. Our skill and attention to detail is not limited to these areas – we also provide the same level of service and experience to a diverse range of electrical projects including being the local residential electrician for the Sydney CBD and greater metropolitan area. ¿Qué hace un electricista en Crows Nest, NSW, AU? ¿Qué hace un antenista en Crows Nest, NSW, AU? Encuentra electricistas y antenistas en Crows Nest, NSW, AU. Mejora los resultados de la búsqueda en la sección “Profesionales” incluyendo el nombre de tu ciudad o comunidad autónoma. 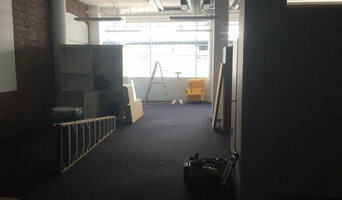 También puedes consultar las fotos de casas de los profesionales de Crows Nest, NSW, AU para encontrar expertos que hayan trabajado en proyectos similares al tuyo.